The first tasks of our upribox project consisted in setting up all prerequisites for the first prototype. In order to manage software development we decided to use Gitlab. Our own private Git set-up helps to coordinate the development of our first prototype between our team of IT security and Media technology students from FH St. Pölten. For our initial prototypes we use Raspberry Pis as a hardware platform. The first challenge we had to overcome, consisted in selecting a suitable WiFi USB dongle for the upribox WiFi Access Point setup. 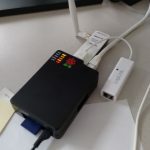 The wiki of the pirate box project turned out to be the best source for Rasberry Pi compatible USB WiFi dongles. 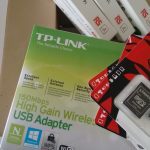 After unsuccessfully testing a number of different devices we finally decided to use TL-WN722N dongles from TP-Link. This Wifi dongle works out of the box with Linux and is compatibly with hostapd. Update 2.2.2015: The Rasbperry Pi project announced the Raspberry Pi 2, which promises huge performance improvements at the same cost of the previous Raspberry Pi hardware. We look forward to test our prototype with the new Rasbperry Pi hardware.